Our well-reputed entity is engaged in Manufacturing, Supplying, and Exporting a qualitative range of Pocket Knife. 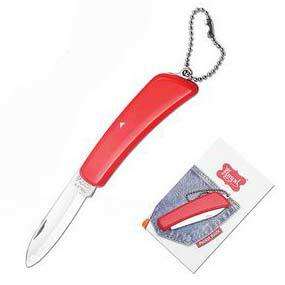 Our offered Pocket Knife is well-appreciated by our clients for its compact size, perfect finish, and durability. These are widely used for travelling purposes. We manufacture them in accordance with the predefined industrial standards and norms. We have enough capacity to deliver Pocket Knives in bulk quantities, within the given time frame.